Want an interior design pick-me-up that reflects a summer day at the beach? Look around. Bright-colored flowers, blue skies, scourching sun; the best inspiration for a perfect beach-friendly home is right outside your door. This season, bring the summer indoors with quick pops of color, sea-rustic décor, and furniture that brings the beach to your living room (without all that pesky sand)! 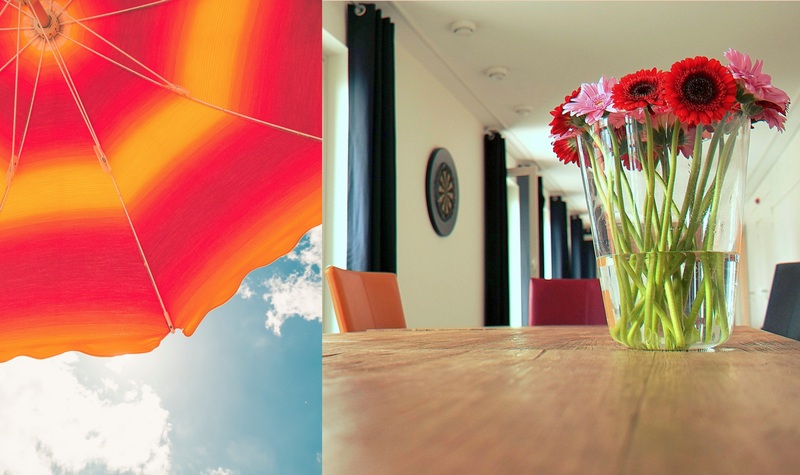 Capture summer's iconic beach umbrellas by throwing pops of color into your own home. The easiest and most fun way to do this is by placing a large bouquet of bold-colored flowers in a neutral room. Nothing screams summer more than sun-worn nautical décor. 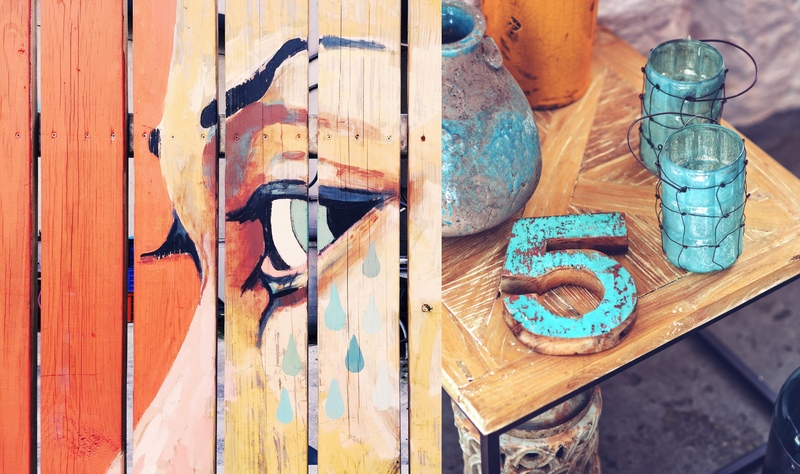 Take the beachside grafitti home with you through rustic metal items, worn driftwood furniture, or inspired artwork! 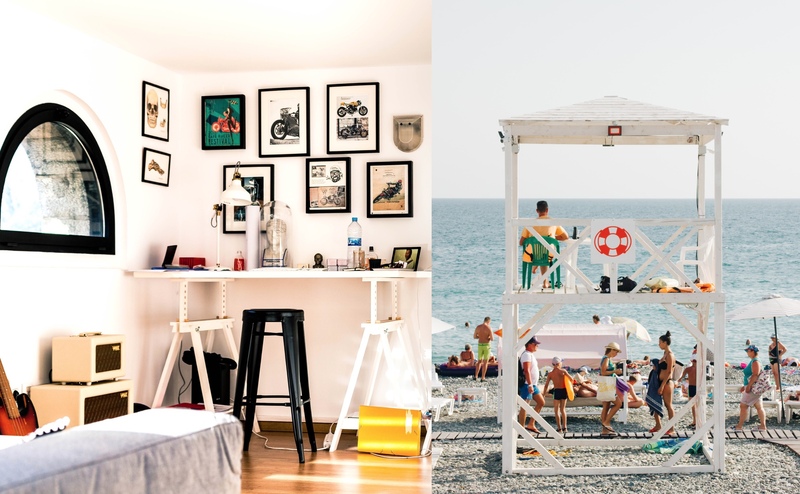 Create an eclectic space with simple furniture, white walls, and various pops of color to reflect a fun crowded day at the beach! There are two types of beach people. Those that bring their shovels, buckets, coolers, umbrellas and chairs, and then those that bring only the bare minimum. 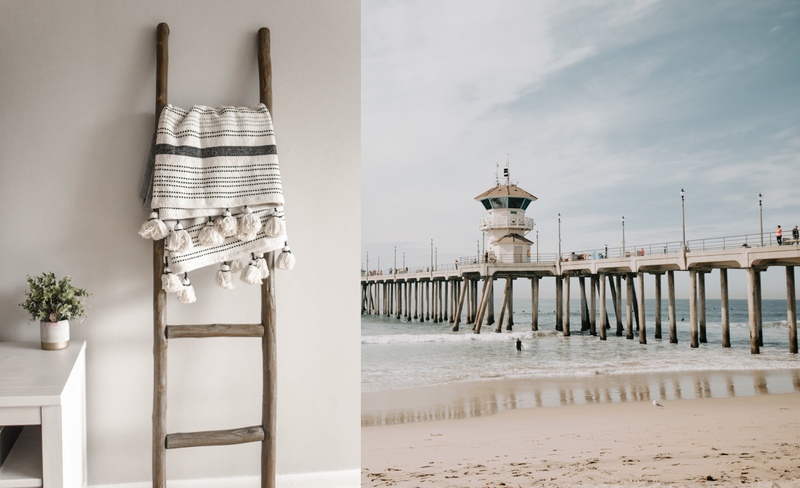 This driftwood-ladder and blanket duo perflectly captures the latter. What are your favorite things about the beach? Next time you're in the mood to redecorate, consider taking inspiration from outside!